Ecuador’s embassy in London cut off Julian Assange’s internet access after coming under pressure from the US State Department, which supports Hillary Clinton in the race for the White House, WikiLeaks activist Clark Stoeckley told RT. 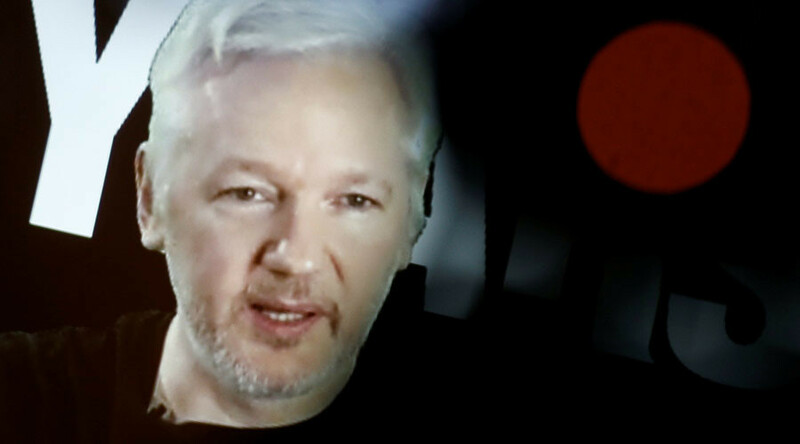 “It’s quite a coincidence” that Assange, who has been holed up in the Ecuadorian Embassy for over four years, was left without internet on Saturday “shortly after Julian and WikiLeaks had published the Goldman Sachs speeches that Hillary had been giving,” Stoeckley said. “Obviously, the State Department is going to claim that they aren’t involved in this. They’ve lied in the past and they’ve also exaggerated many claims about what damage was done by the WikiLeaks. Where, in fact… there was no damage whatsoever. And it was, actually, just embarrassment,” he said. According to the activist, the State Department is rooting for Clinton in the US presidential election to take place on November 8. “It seems to me that the State Department, who’s chummy with Hillary Clinton because she was the Secretary of State (in 2009-2013), would try to control anything that might come out before this election,” he said. 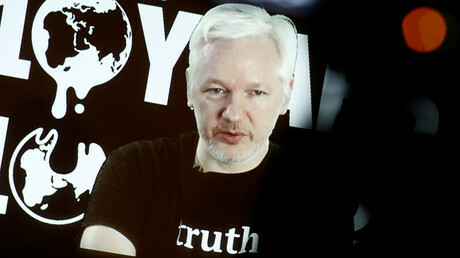 Despite the internet cutoff, “the relationship between Ecuador and WikiLeaks and Julian Assange is still very amicable. They’ve been a wonderful host for letting him be a guest for four years,” Stoeckley said. Stoeckley again urged Swedish authorities to drop sexual assault allegations against Assange to finally allow the WikiLeaks founder to leave the Ecuadorian embassy. “Sweden, the US and UK need to end the prosecution against him. And this ongoing case in the US and whatever is going on Sweden needs to come to an end because the UN has said there’s been a huge violation of human rights. There’s no evidence against Julian,” the activist said. “What really matters is showing the inside workings of how Hillary has run her campaign; how the DNC has run their campaign. It seems as though she’s going to win. So we need to be looking forward into what her administration is going to be like and how she plans to continue to run in four years,” he said. Blaming WikiLeaks for trying to thwart the election is useless as it’s “a little late” to do it at this point, the activist said. “And I also think that it’s never been Julian’s motive. He would certainly publish anything that came forward on Donald Trump as well. Unfortunately, nothing has,” he said. 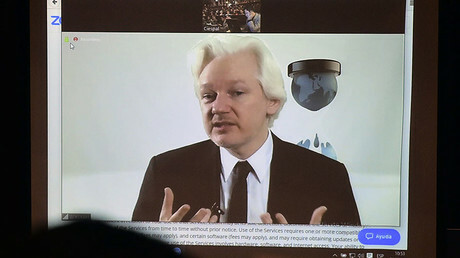 Ecuador said that Assange’s internet cutoff was a temporary measure, explaining it by the WikiLeaks intervention in the US presidential election. "The Government of Ecuador respects the principle of non-intervention in the internal affairs of other states. It does not interfere in external electoral processes, nor does it favor any particular candidate," a statement by the Ecuadorian authorities said. WikiLeaks has been publishing leaked emails from Clinton campaign chair John Podesta in batches in October, with the correspondence, among other embarrassing details, revealing that Clinton made speeches paid for by Goldman Sachs bank, supported fracking, worked with the media for better coverage, and manipulated her main rival in the primaries, Bernie Sanders, into supporting her.